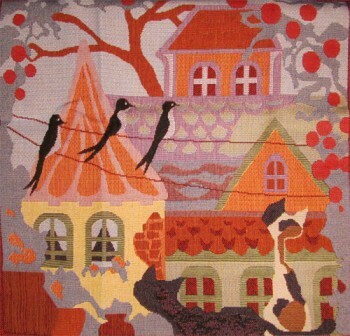 Be it interior designing or simply beautiful living, tapestries are important home decors that makes your home a place that radiates happiness and love. Be it a luxurious rustic living room or a simple living room with only a few furniture, these tapestry cushion covers can bring it a unique sense of thematic beauty. Made with the finest material to ensure durability and match with luxurious standards, you can select the cushion covers that will suit your home from a series of cute to elegant designs. 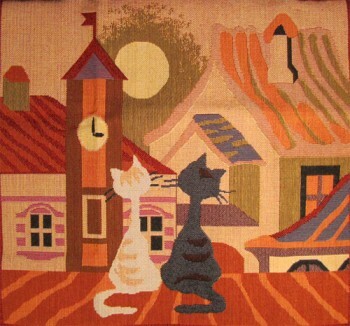 Cat’s life tapestry cushion cover series features four adorable designs of a pair of cats living through spring to winter. These designs are certain to remind you of fairy tales that took you away in your childhood. Once you have one of the four of these cushion covers you will need all the three of the rest as well. 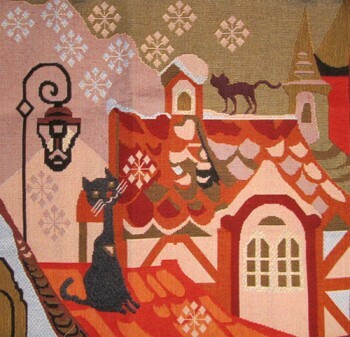 The four cushions together completes the picture of the cute pair of cats in spring, summer, autumn and winter. 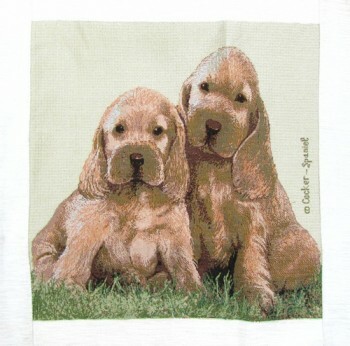 Not only your children, you and your neighbours will also fall in love with these irresistibly beautiful cushion covers. 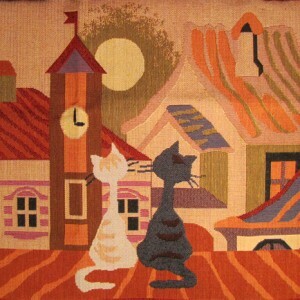 All the Cat’s Life tapestry cushion covers come in the size 17 x 17.5 inches. What is a home without a cute kitten or a puppy? These animals are bundles of joy and love sent from heaven. 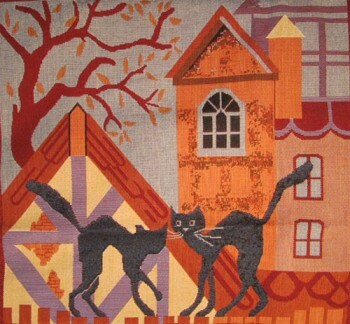 Tapestry cushion covers designed with beautiful patterns and pictures of cute kittens and puppies are just meant for you if you are an animal lover concerned with beautiful home making. You have the ultimate freedom to select high quality tapestry cushion covers of your choice from a series of different designs of lovably posing kittens and puppies. These cushion covers are going to bring such love and happiness to your living room no matter how small or big it is. Your home is a picture and you are the artist drawing it. Follow what your heart says and you will make your home the most beautiful picture in your life. It’s all about combining ideas to make your living room a unique place that differs from all the other living rooms in the world. 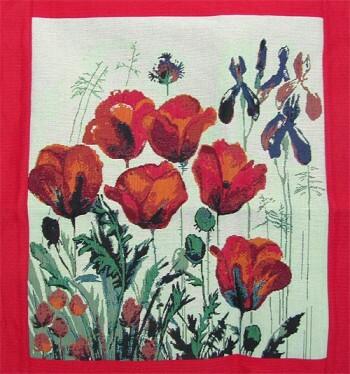 Tapestry cushion covers with flowers are a great choice if your heart falls for vintage classics. They create a picture of elegance that tinges with other decors in the place to subtly radiate a solemn high class living.